Lauren Markham is a writer and reporter based in Berkeley, California, and the author of The Far Away Brothers. An expert in migration, an educator, and an accomplished journalist, Lauren’s work has appeared or is forthcoming in outlets such as The Guardian, Harper’s, Orion, Guernica, VICE, Pacific Standard, The New Yorker.com and VQR, where she is a contributing editor. 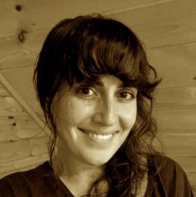 She is a graduate of the Vermont College of Fine Arts’ MFA in writing program and has been awarded fellowships from the Mesa Refuge, The French American Foundation, The Rotary Foundation, and the Middlebury Fellowship in Environmental Journalism. This interview was conducted face-to-face by Interview Editor Griffin Sandidge. On the interview process he said “Speaking with Lauren on her most recent book, The Faraway Brothers: Two Young Migrants and the Making of an American Life, was an honor that really demonstrated her commitment to helping immigrant youth. Her telling of the story of the Flores twins brought the struggle of this true story to the forefront of the reader’s attention. Lauren’s piece on the challenges facing youth who come to this country on their own is an emotional tale that made an immense impact with its eloquent use of style and truth. It was a privilege to have her take time out her busy schedule at the NonFictionNow convention to participate in this interview.” In this interview, Lauren discusses mental health, struggles of migrant youth, and the work she is doing to aid immigrant high schoolers in the Bay area. Superstition Review: First of all Lauren I would really like to say thank you for agreeing to this interview. I really enjoyed how you dive into the struggles that young immigrants face in your new book The Far Away Brothers: Two Young Migrants and the Making of an American Life. One line that stuck out to me was where Ernesto was discussing his feelings and desires to self harm. “Sometimes it seems like it might happen, like I'm scared that I might do something to myself, even if I don't want to.” This line stuck out to me because mental health is an incredibly large issue today, as there are so many traumatic events that can cause depression and suicidal thoughts. What effect do you feel mental health issues can have on the already stressful situation of child immigrants? Lauren Markham: I think that the migration experience can be in and of itself a really traumatic experience even in the best of circumstances. You're coming to a new place, you don't speak the language. My students, I work at a school for immigrant youth which I write about in the book, but I've also interviewed countless at this point and a lot of them describe an experience of when they come to a new country, everything that they know sort of doesn't feel like it matters in this new context. Of course it does, but it doesn't feel like it has any bearing on their sort of daily needs in the new context. And then they feel like everything that they need to know, the language, how to get around, kind of what the rules are here; all these skills that they feel like they don't have. They feel like they don't have what they need to succeed here and that all of their skills have become irrelevant. Of course over time, I think that that starts to even out, but that can be a really traumatic experience in and of itself. So, then they come to the United States, the young men that I wrote about and thousands like them. There are currently thirteen thousand kids detained right now at the hands of the U.S. government, and then they're released. They have to find a lawyer. They're often saddling immense debt back home, so there's a lot weighing on these young people. There's a lot that's happened to them. So mental health challenges, it's sort of a chicken and the egg question,what comes first? But I think mental health challenges and traumatic experiences of the past can be exasperated and further complicated and even worsened by the immigration experience. SR: The Far Away Brothers is your debut book covering the topic of immigration. Can you talk about the publication process for your book as opposed to your other published articles and essays? LM: It's a book of nonfiction, and I had been reporting on unaccompanied minors and on migration for several years. My first story was for a magazine called VQR, and it was about my reporting that took place in South Texas and it was about the experience of young migrants coming to this country and the kind of apparatus of several arms of the United States government responsible for apprehending, detaining, and then litigating their cases and their right to stay. So I'd been writing articles about that and about other things, but each article that I wrote about unaccompanied minors kind of answered a bunch of questions for me. But more than that, it actually opened up more questions and there was more I wanted to learn, there was more I felt like we should as a society in the United States, and even a regional society, should understand about these young people. Why they were coming. Why so many of them. I think migration is a prism through which I tend to look at the world and any time a large group of people starts moving, we should ask why. And finally I just realized that this is really a book and then I met the Flores twins. So I began to think about a story about unaccompanied minors that would be sort through the lens of their experience. So I actually sold the book based on a proposal I spent about eight months or so working on with an agent who had found me through one of the articles I'd written about unaccompanied minors. And then we sold the book based on the proposal. I had a sample chapter and a very detailed proposal and that's how I got the book deal and I began working. I'd been really working on the book for several years but I began, once I got the book deal, in earnest trying to assemble this particular story. SR: You have done a lot of reporting work covering immigration and U.S. policy there in. Who inspired you to write and report on these topics? LM: Really the people who were inspiring me to write about migration issues were the migrants themselves.They were people that I was meeting and learning from, people I was working with, and in some cases at the school where I worked. I have immigrant heritage in my family and I sort of grew up with this mythic perspective on immigration. This perspective on my immigration story. I've never been to Greece. I knew my great grandmother as a little kid but she had this sort of mythic matriarchal place our family. It's sort of this young woman who came, as an unaccompanied minor, as a kid, through Ellis Island and was poor. Got married young. Was widowed, had four kids, pulled herself up by her bootstraps and opened a Greek diner in New Haven. She raised a family and their kids went to college. This is this mythic immigration story and I've always sort of wondered why does my family's immigration story get to be this mythic happy story of coming to the United States when, contemporary immigrants, especially contemporary poor immigrants, don't have that space in our cultural mythmaking. That story that I grew up hearing and and seeing influenced me to see social issues often through the prism of migration. SR: I was deeply interested in the struggles faced by child immigrants to California, as they are a centerpoint in The Faraway Brothers as well as many other of your works. What do you feel sets California apart in its treatment of immigrants that are minors? LM: The federal government is in charge of apprehending and detaining migrant youth, so whether they're in detention in Texas or Arizona or California, they're still in detention. Certain communities in California are more progressive when it comes to immigration issues and are therefore more welcoming. And so the community that I work in in Oakland, the local city government and county government has ponied up a lot of money to support unaccompanied minors and a lot of nonprofits and foundations have rallied around newcomers to this country and to the Bay Area. For certain immigrants coming into certain parts of the country there are more protective measures and there are more resources to support what is a deeply difficult transition. But the immigration laws are federal laws and there are still real risks that that immigrants run regardless of where they live. SR: In addition to your writing you also work at a High School for Immigrant youth in the Northern California Bay Area. What made you want to work with kids and young adults? LM: I've always been really interested in education. I've always loved working with young people. As I get older, in certain ways it becomes even more important to me to to be connecting with, learning from, and serving younger people. I first started working with refugee communities who had really been often in a state of limbo for decades in some sort of protracted refugee context. So, coming to the United States was the end of a limbo period where I think the United States was where they were starting their lives. And for so many families like that their main priority that they would tell me is ‘we want our kids to go to school, we want our kids to get an education’. So it does feel like, as flawed as our education system is, a mechanism of both hope and mobility for many newcomer families. It's not really different for immigrants versus those of us who were born here. On the more immediate level, education is a way that people learn English, so that's incredibly important. SR: Another part of The Faraway Brothers that is a very common problem faced by immigrants to the United States, is the separation between families over country lines, and sometimes, from within. One part that brought this to my attention was where the relationship between Ernesto and Wilbur became strained. “Any necessary communication, about sending money back to El Salvador, about their parents, went through Raul.” How does the stress of distant family ties affect the daily life of the young immigrants you’ve worked with? LM: I wrote the story through the lens of these young people who did a tremendous amount of work and gave a tremendous amount to help me do the best job that I possibly could to render their experience correctly and faithfully. Both through the actual facts of their experience but also their internal experience. Being separated, having families separated and fractured across borders, is an incredibly challenging thing. These young men that I write about, and the young people that I work with, are living alone or effectively alone. They don't have financial support of their families, and in many cases they're actually sending money back home. They don't have the sort of emotional support on the day to day level of parents and their living lives in many cases of kids. They're going to high school, they're concerned about Facebook and girls and soccer practice but then they're living lives with incredible adult preoccupations. Stresses that I've never had as a 35 year old, like the fear of getting deported, fear of my family back home being killed, owing tens of thousand dollars of debt to a predatory lender and if I don't pay it back soon my family could lose their land. Having deportation proceedings and needing a lawyer and needing to pay for that lawyer. SR: I'd like to finish with a question we ask all of our contributors. What does your writing space look like? LM: Honestly, I have to write wherever. I've written articles on planes, I've written articles in the back of cars, I've written at my parents kitchen table, I've written in hotel rooms. But in an ideal world, I write at home. And my husband I live in a small house in Brooklyn. We just built a tiny shed in the back of our house that is now my writing spot. But I have not really gotten to write there yet because I've been on the road since it got built, so my hope is that all my writing problems will be solved because I have this magical backyard space where the muse will come and it will just roll out. We'll see if it works out.